How did you begin? What sparked the interest in designing? In the 7th grade, just noticing local fashion. During that time every one’s shirt was at least XL. I started to see some clothing lines come up and see some fall down. 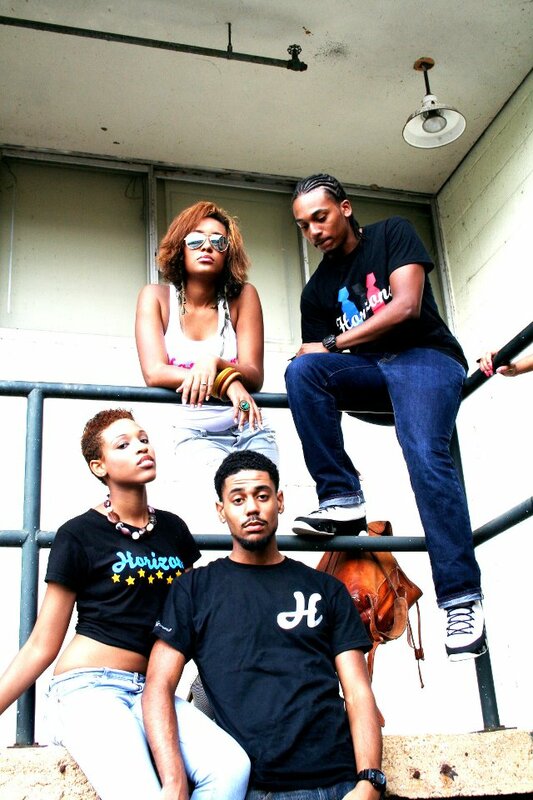 From then I knew i was going name my clothing line “Horizons”, it fit perfectly “above all below nothing”. Horizons didn’t get out until my senior year summer of high school, I sold my first shirts to my football team. So coming into my last year of high school I was already known for being very popular, having my own style, and then :the guy with the clothing” so supporters were already there, sells started coming in, and now I’m doing an interview for a website. Its so surreal, and I’m very happy to do this. From where do you draw inspiration for your designs? I think alot of my inspiration comes just daily life. Driving around, taking pictures, music, the latest shoes, and even social networks. I see what people are talking about, get an idea and just get to work! Is your line for everyone? What products do you carry? Right now alot of my clothes are in men’s sizes, and I plan on changing that soon. But in general yes, Horizons is for everyone.Horizons’ carries t-shirts, crewneck sweaters, v-necks, hoodies, and sweatpants for men, women, and your kids. Hopefully I can start making bracelets, socks, hats and all types of lil things. Any plans for expanding the line? If so what will be added? I guess I jumped the gun on that last question, haha. But like I mentioned in the last question I want to add accessories, alot of them! Buttons, socks, all that! Is your line available in any stores? If so where? 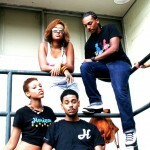 My line is exclusive and is not in any stores yet, right now the website is http://horizonsclothing.spreadshirt.com/ . What separates you from the other clothing lines? How is Horizons unique? 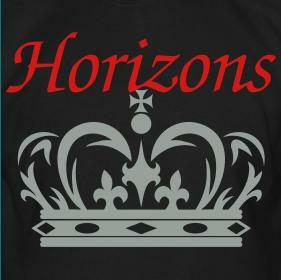 Horizons isn’t just a clothing line, its more like a total way of life. Living above everything, above the obstacles, above the hate, above anything that’s holding you down, that why our slogan is “Above All, Below Nothing” A.A.B.N. which you may see on a few shirts. And the reason why Horizons is unique is because of how it came about, I made it come true out of the blue, imagine coming home after school telling your parents that you just sold 10 shirts and they didn’t even know that you had a clothing line. I’m just a college kid trying to chase my dreams, and I won’t ever give up till I make those dreams come true! It seems as though the Music and Fashion industries are like brother and sister now. 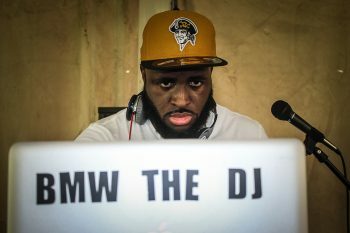 We see plenty of recording artists release clothing lines and many brands using artists to promote their product. Is this something you are looking to do? Yeah! Music and fashion are hand and hand I would love to get an artist rolling with Horizons that would be one of my dreams coming into reality. Do you think technology has had an effect on the fashion industry? If so what? Yeah, I think technology has an effect on fashion! The other day I saw some winter gloves that you could wear and still work your touch screen phone, it was pretty cool I can’t lie, haha. In these tough economic times what strategies are you using to keep cash strapped consumers buying? I become friends with a lot of my customers, so this keeps their interest in my clothing line. Horizons is always growing and I see the economic struggles every day, so I make sure my products are priced so that everyone is able to buy something. Beyond the obvious goal of gaining financially, what is the biggest goal for your line this year? What about long-term? Is there any particular piece that you’re excited for the world to see? Why? I have alot of new designs for this spring coming, alot of new colors I haven’t used yet. Just a hint but this should be a colorful spring! Every line has a signature piece for example Ralph Lauren’s butter has been their 2 button short sleeve oxford shirt. What do you believe yours will be or already is? I think Horizons bread and butter would be the plain “Horizons” t-shirts. This shirt style has been made in so many colors, but I think our signature is that on most of the long sleeve items there is Horizons going down along the side of the arm, not many companies do that. More than anything else how do you want the line to be remembered? 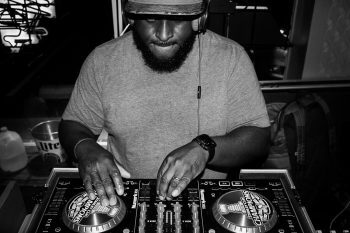 I want Horizons to be remembered as being the biggest clothing companies coming out of Baltimore, showing everyone that there is more here than just “The Wire” and Stringer Bell, haha.